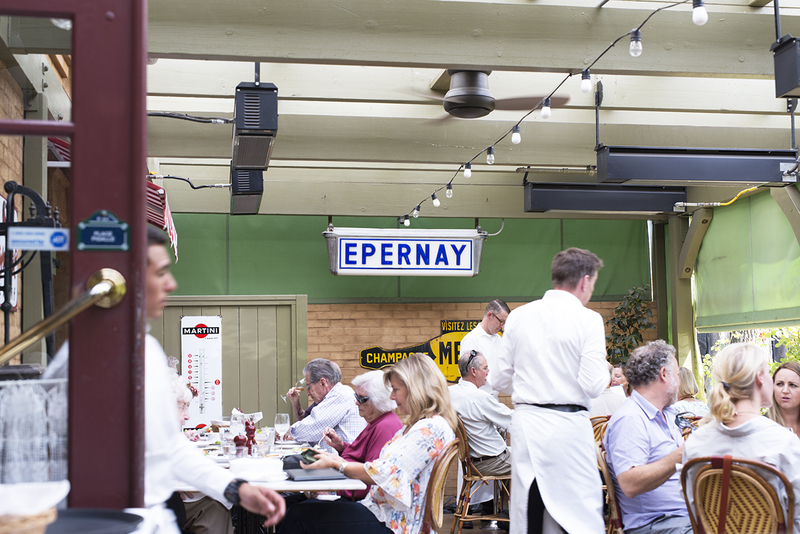 In the heart of Yountville, lies the quaint french eatery, Bistro Jeanty. Bistro Jeanty is my go-to place in Yountville, California. In a town that Thomas Keller made famous with Bouchon Bakery and The French Laundry, lies a plethora of dining options to choose from. Bistro Jeanty gives you a true french feel, with a large patio and quaint interior reminiscent of a Paris café. I dined on the patio during lunch, this photoblog is a tour of some of the dishes and drinks I experienced. Panaché is basically a shandy, part beer and part carbonated lemonade. Panaché is popular in France, Belgium and Switzerland. 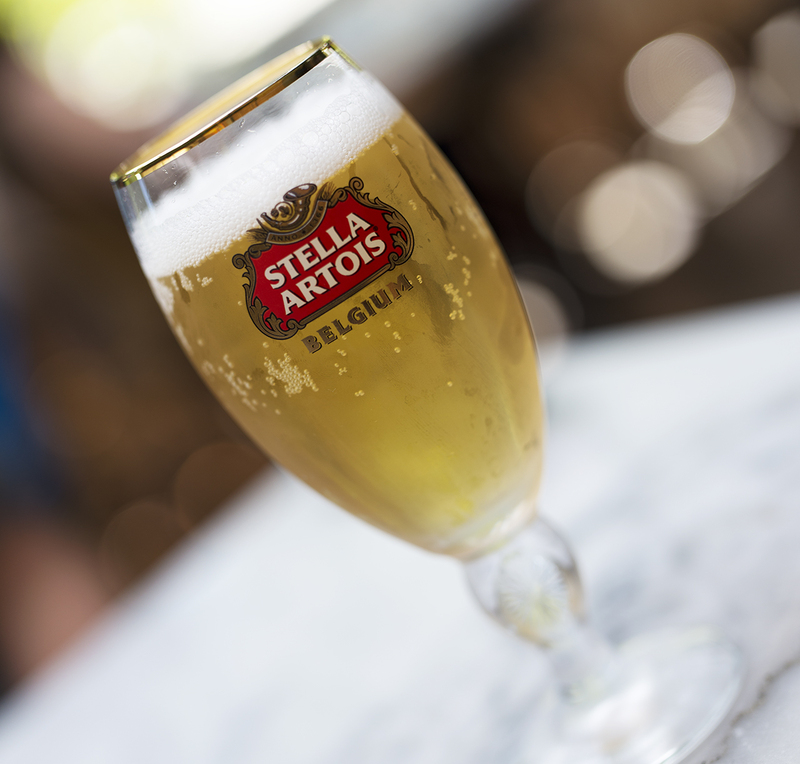 Bistro Jeanty uses a 50/50 split of Stella Artois and Lorina French Lemonade served in an ice cold Stella glass. This lemonade sweetens the beer, making it a light, enjoyable beverage, especially on a hot day. 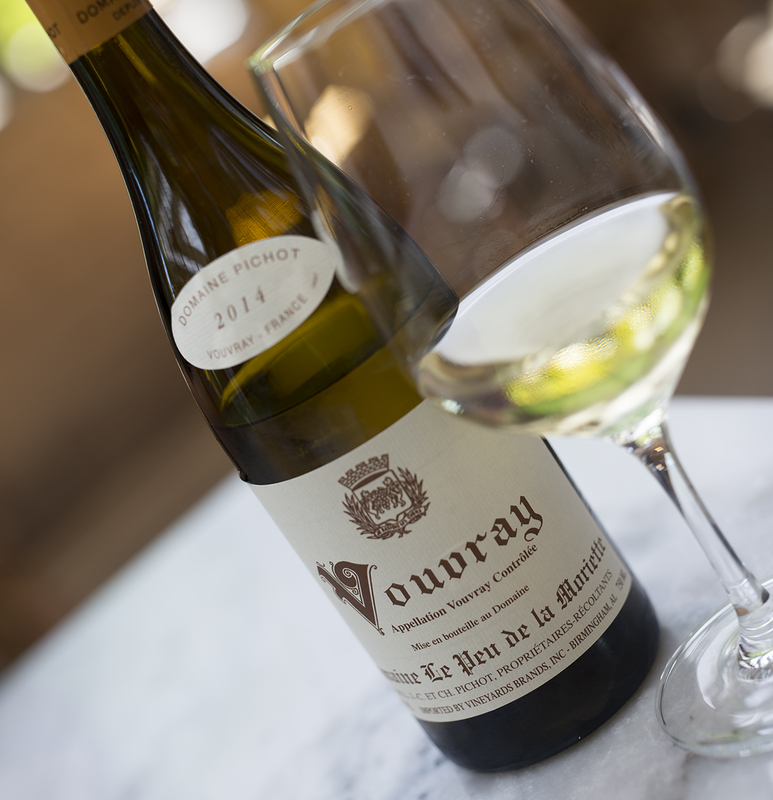 One of my highlights when I come to Bistro Jeanty is the Vouvray because I rarely see it at any restaurants in the United States. Domaine Pinchot Le Peu de la Moriette is a semi-dry Chenin Blanc grown in the Loire Valley. Wine Spectator gave this Vouvray 88 points, and at 40$ a bottle, it’s a great price point. This fruit driven wine is fresh, well balanced and slightly off-dry. It pairs nicely with rich, heavy food which Bistro Jeanty delivers. 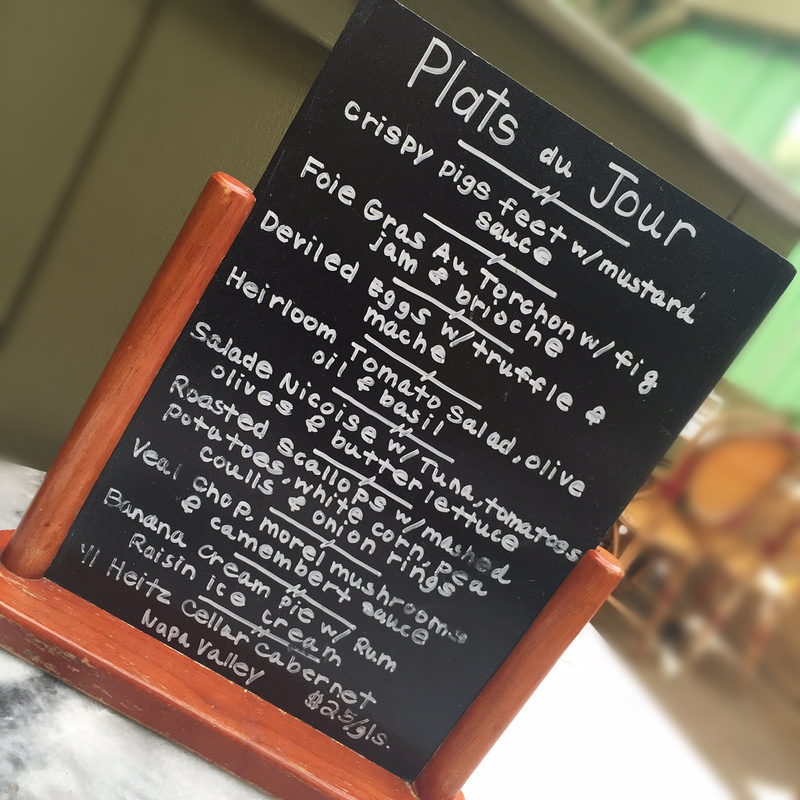 Bistro Jeanty offers many Plat du Jour or specials of the day, some more daring than others. The Crispy Pigs Feet and Foir Gras Au Torchon were a bit too adventuresome for me. I ordered the Deviled Eggs with Truffle & Mache. 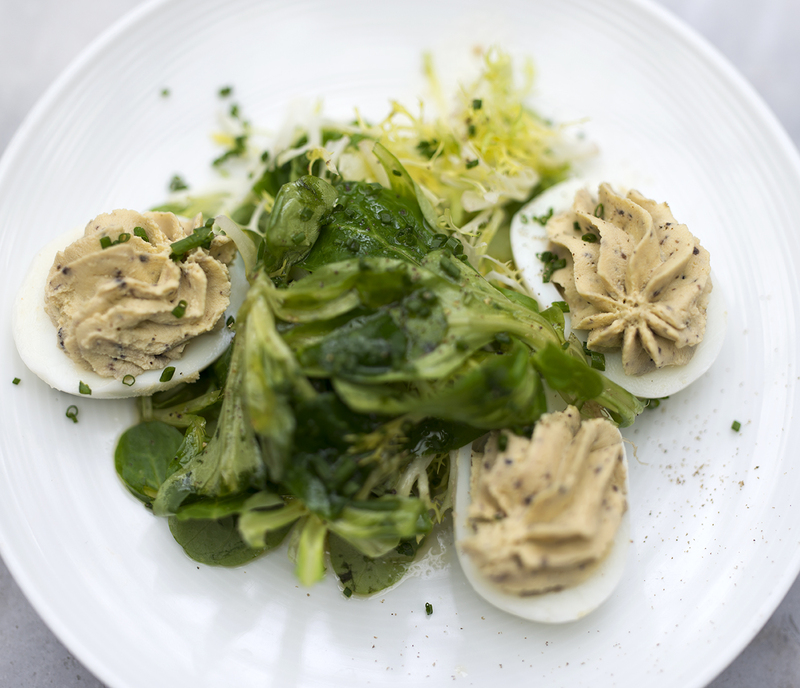 Beautifully plated, three deviled eggs surrounded the mache, which is the french name for the edible salad green, Valerianella locusta. It is also known as corn salad or lamb’s lettuce. The truffle oil was very fragrant, salad was light with the oil’s accents and the eggs were rich, creamy. All the ingredients married well together. The Quenelles du Brochet is on the regular appetizer menu. 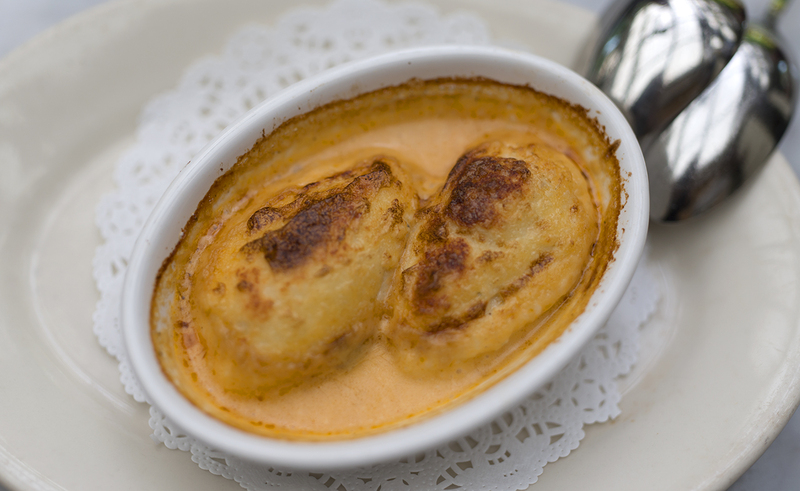 It is a pike dumpling dish baked in a creamy lobster sauce. The appetizer came out bubbling and hot, and as it cooled down, I cut into the fluffy center, which reminded me of a gnocchi. The lobster sauce was a flavorful complement to the airy dumpling. The pike wasn’t overpowering and all components created a rich appetizer. Some of the other popular appetizers and dishes on the main menu are: Crême de Tomate en Croute (Tomato soup in a puff pastry), Soupe a l’Oignon (french onion soup), Cassoulet (duck confit, baked beans, toulouse sausage and apple smoked bacon) and Escargot with garlic pastis butter. Another one of my favorites is the Coq au Vin which is served in Le Creuset. It consists of chicken, apple smoked bacon, mushrooms, onions in a red wine stew. Add the optional side of egg noodles and it’s the perfect combination for a meal. 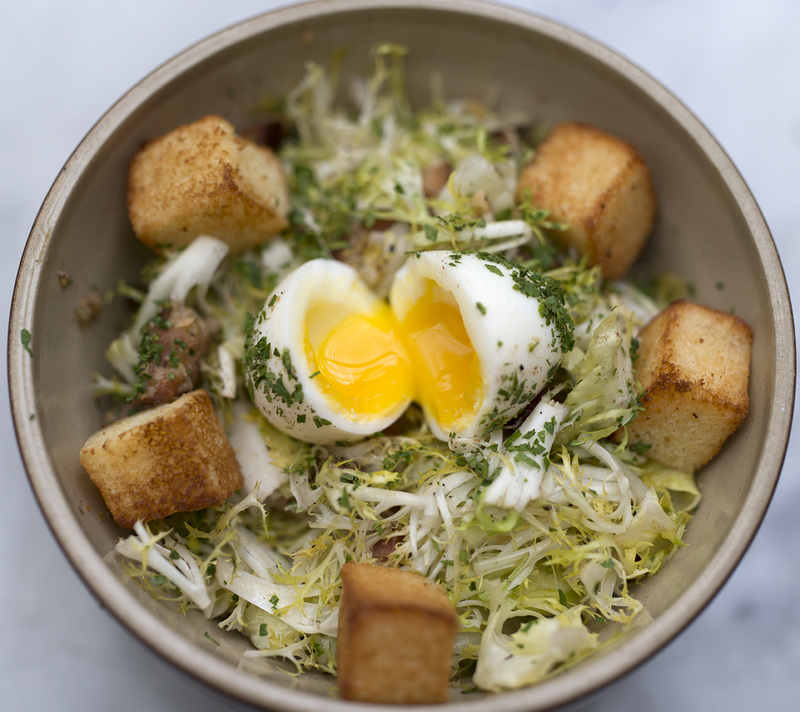 The Salade Lyonnaise is one of the lighter items on the menu. The escarole salad has a nice warm apple-smoked bacon vinaigrette and a perfectly cooked soft boiled egg. Cutting open the egg and letting the yolk flow over the salad creates a lavishness and the bacon vinaigrette is the perfect balance of tart and smoke. If you don’t want an ultra-rich dish, this is an exceptional choice. On the other hand, if rich is what you are looking for, try the Flamiche aux Poireaux. This exquisite quiche consists of ham, leek and cheese on a flaky, buttery crust. 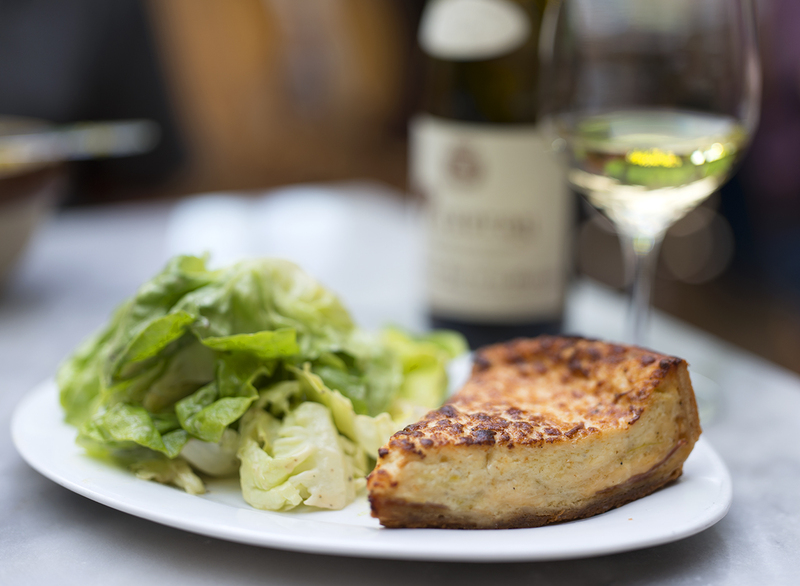 It’s accompanied by a crisp butter lettuce salad and a tangy vinaigrette that compliments the richness of the quiche. This is definitely one of the best quiches I have had and it literally melts in your mouth. If you order the quiche, be willing to sacrifice calories over flavor. Banana Creme tart with homemade rum raisin ice cream. No french meal is complete without dessert. 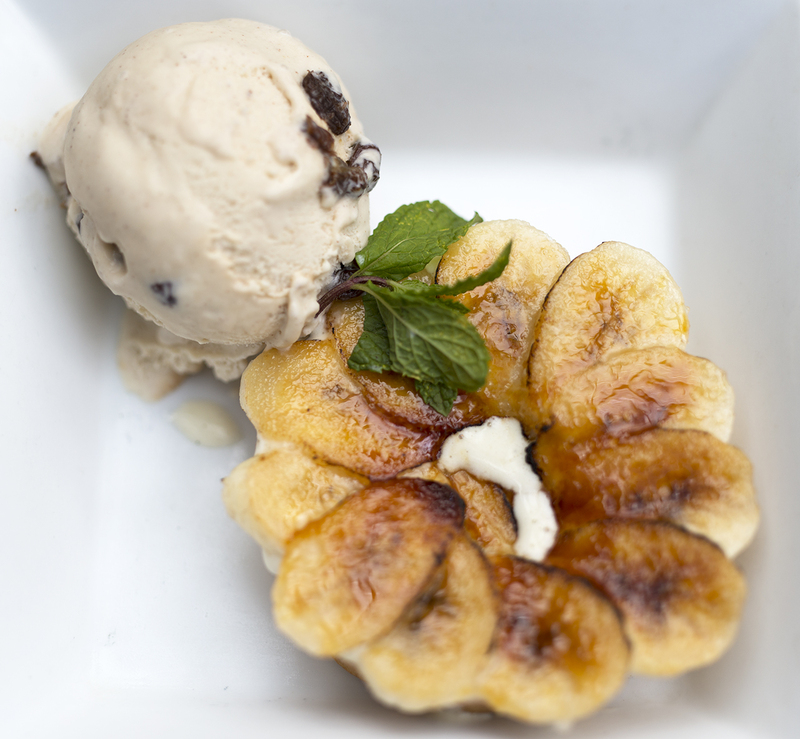 I chose the dessert plat du jour, a banana creme tart with homemade rum raisin ice cream. The bananas had the perfect caramelization, the crust was flaky and the filling was a slightly chilled luscious cream. The ice cream was filled with rum asked raisins and kissed with a hint of nutmeg. All in all, it was a two hour feast on a beautiful day in Napa Valley. I was extremely full and didn’t eat for the rest of the day. If you plan to visit Bistro Jeanty while in the Valley, make sure you have a hearty appetite. You’re killin’ me. I’m booking a flight tonight! I am a big fan of Bistro Jeanty!